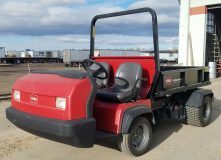 The equipment listed on this page will undergo a thorough inspection from our factory authorized service technicians prior to sale. 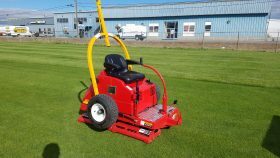 All demo equipment will be sold as a new unit with a full factory warranty beginning at the date of delivery. 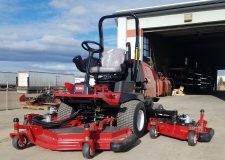 New and demo Toro equipment only available to Montana & Wyoming residents within Midland Implement’s sales and service territory. 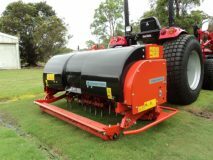 Please contact your Midland Implement representative for additional details and pricing information. Nearly new demo unit, less than 6 hours! Click image for details. 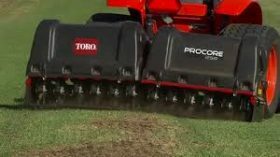 Take advantage of the fastest, most innovative deep tine technology on the market. Click photo for more details. 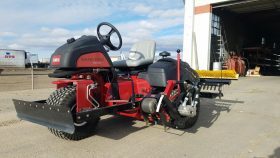 Heavy Duty 2wd Toro Workman Automatic with high flow hydraulics kit. Click picture for more details. gas engine / carburetor model. Click for picture for more details. Comes w/ 3 Tine Heads and Turf Guards. Only demonstrated 1 time! Click picture for more details. 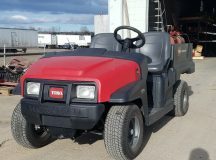 Toro 340 Infield Machine – LOADED! 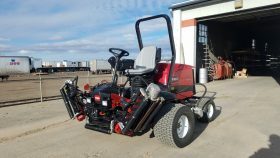 Complete with a manual front blade, Rahn Rake infield groomer, and a hydraulic edger. Complete with 5 in cutting units, less than 25 hrs. 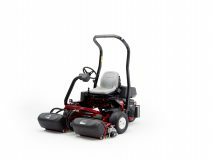 Toro Groundsmaster 4000D Demo Unit – Less than 2 hours! When new , price is over $60,000; our demo price $58,550! Less than 20 hours use. Click picture for more details.